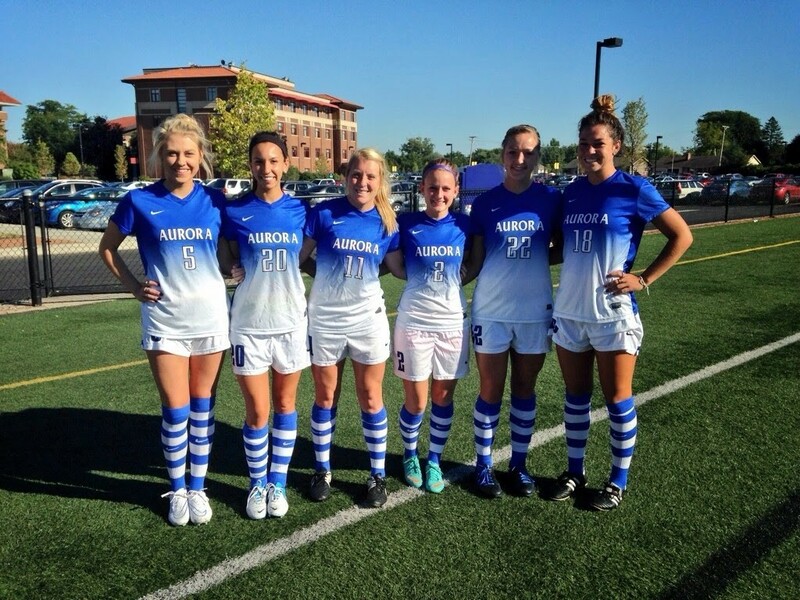 Aurora University Spartan College Prep Women’s camp is an advanced overnight girls only camp designed to give high school players a first hand look into what makes Spartan Soccer one of the top Division III women’s soccer programs in the country. The focus of the camp is to expose players to college level training and teaching. We will also provide players an individual assessment of their play. As a camper you will be trained by the Spartan Coaching staff and current Spartan players. In addition to receiving on-field instruction, campers will train with a strength and conditioning coach, review game film, have classroom sessions, and tour Aurora University. Campers will train and play on Vago Field, the home of the Spartans. Campers will share a room with another camper in one of AU’s dorms and get the opportunity to experience college dorm life. All meals will be eaten at Alumni Dining Hall. Aurora University traces its origins to the 1893 founding of a seminary in the small town of Mendota, Illinois. Though established initially to prepare graduates for ministry, the institution soon adopted a broader mission and moved to a new campus on the western edge of the nearby community of Aurora. AU is a four-year, non-profit, independent, liberal arts, co-educational university. AU offers residential, commuter, full-time and part-time programs. Two semesters, late August to mid-December and mid-January to early May. AU also offers a three-week May Travel and summer courses. AU offers more than 40 undergraduate majors in arts and sciences, business, criminal justice, education, nursing and social work. AU offers a wide variety of master’s and doctoral degrees as well as certificates and endorsements in applied behavior analysis, business, marketing, mathematics, education, nursing, science and social work. The Higher Learning Commission accredits Aurora University at the bachelor’s, master’s and doctoral levels. 24 NCAA Division III teams compete in the Northern Athletics Collegiate Conference, Midwest Lacrosse Conference, Midwest Women’s Lacrosse Conference and Northern Collegiate Hockey Association. Troy Edwards became the Head Coach of the Aurora University women’s soccer program in the spring of 2012. Edwards has a 76-24-7 overall record in his time at the helm of the Spartans. AU has won three conference championships and three conference tournament championships while making three NCAA Tournament appearances. The 2014 Spartans won the program’s first NCAA Tournament contest and advanced to the Division III Sweet 16. Edwards graduated from Wheaton College in 1994 and began his coaching career as an assistant soccer coach at Wheaton-Warrenville South High School. During his tenure with Wheaton College, the Thunder won the NCAA National Championship in 1997, finished as runners-up in 1999, and set a national record for consecutive games without a loss (66). In 2002, Edwards moved to Vancouver, British Columbia, and joined the staff of Athletes in Action Soccer, a ministry of Campus Crusade for Christ. Edwards was the director of the Ireland ministry, head trainer for the soccer project, U-21 men’s coach, and lead assistant with Trinity Western University where he helped lead them to their first-ever Canada West title and a number two National Ranking. While playing at Wheaton he set the school single season (23) and career (44) assist marks. He was chosen as first-team CCIW player following the 1991-93 seasons, won the CCIW Most Outstanding Player Award in 1993 and was a member of the NSCAA All-Midwest first team. Following a successful collegiate career, Edwards played semi-professionally for the Abbotsford Action, Chicago Stingers, Chicago Eagles, and Fraser Valley Action teams. He holds an NSCAA Adcanced National Diploma and master’s of education in health and kinesiology from the University of Texas-Tyler.